According to Kuhl, a mechanical perspective on brain functioning could have direct implications on the diagnosis and treatment of a diverse array of diseases, ranging from epilepsy to schizophrenia to autism. In an interview with Stanford News, Kuhl said her interest lies in understanding the mechanical forces within complex systems such as the brain. She added that mechanics are integral to brain functioning, contrary to what many people may believe. Though mechanics are highly involved in neural processes, “a lot of people think the brain is not involved in any mechanics because it’s isolated,” Kuhl said. Neuroscientists have long understood that the folds in the brain allow for a large cortical surface area to exist in the small space of the skull. The folded feature of brain tissue is thought to increase the brain’s connectivity and computational power. Increasingly, researchers including those on Kuhl’s team have found that mechanical forces in brain folding may affect much more than space maximization — they are finding that these forces shape developing brains and may underlie diseases from Alzheimer’s to traumatic brain injury. “The idea is to bridge from very small scales in, say, a petri dish to the real brain,” Kuhl told Stanford News. To discover more about the little-known mechanics of brain folding, Kuhl’s team used tools traditionally employed in the study of folds in the Earth’s crust. This application paved the way for mechanical interpretations of genetic brain-folding disorders, and researchers are now applying this strategy to understand some of the most significant neurological disorders today. However, this approach can be challenging. “It’s a big, big step from the cell to the brain,” Kuhl said. Despite the challenge, researchers are capitalizing on this approach to take a critical look at diseases such as chronic traumatic encephalopathy, which is caused by head injuries suffered by athletes who play contact sports and is oftentimes accompanied by severe mental illness. Until now, encephalopathy could not be diagnosed without a postmortem study of the brain, but Kuhl and her team are working to change that. To do so, Kuhl and Soichi Wakatsuki, photon science and structural biology professor, are studying the structure of neurons, in particular the axon portion of the neuron, which sends cell signals, and how it responds to the sudden shocks that accompany traumatic brain injury. Kuhl is also collaborating with Antonio Hardan, psychiatry and behavioral science professor, and Roland Bammer, radiology professor, to examine the development of autism. The team will take some of the first measurements of brain mechanics in living people by shaking participants gently and measuring the effects of the resulting movement in their brains through MRI brain imaging. 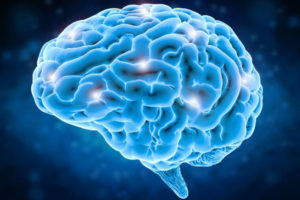 Although the brain diseases being studied differ significantly in terms of scale — trauma happens quickly and in a small part of the brain, whereas Alzheimer’s slowly affects the whole brain, for example — Kuhl argues that this research will be applicable to any time scale. “To us, from a mechanics point of view, they’re all kind of the same,” Kuhl told Stanford News. Within a decade, Kuhl believes that this research will lead to the construction of a brain model that traces the mechanical influences of brain folding from prenatal development through disease and long-term decline.